James DePreist Interview with Bruce Duffie . 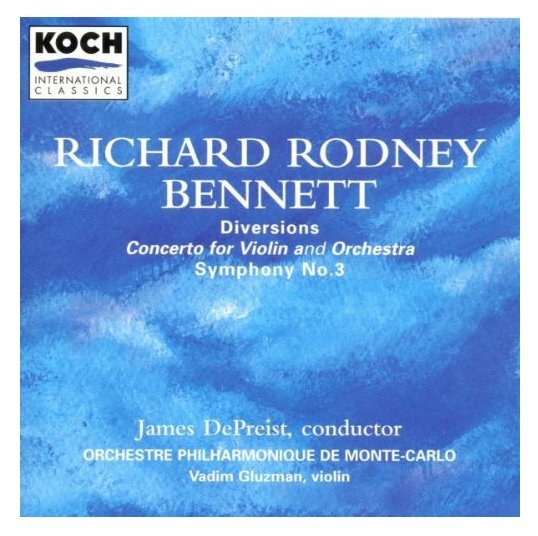 . . . .
James DePreist is a busy and successful conductor whose career has spanned many parts of the globe for a great number of years. While this statement can also be attributed to quite a number of others in the field, it is, nonetheless, a limited number of individuals who are members of that club. But it is all the more remarkable when one realizes that DePreist is also hampered by the effects of polio. Obviously, this in no way obstructs his artistic vision nor his communicative skill, but the extra effort involved in simply getting around makes the rest of us - in any field - somewhat ashamed of any complaints we may have about other, more trivial limitations. That said, the conductor's life and resumé is that of a gifted and highly-praised musician. 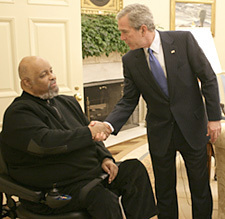 His most recent honor is the National Medal of Arts, presented by President Bush in 2005 at the White House. A photo of that, and a brief biography appear at the end of this interview. Chicago has been fortunate to have secured his services occasionally, and we arranged to meet in his hotel during the 1988 convention of the American Symphony Orchestra League. The discussion was relaxed and informal, and he had an interest and enthusiasm for the questions I posed. Throughout this page, names which are links refer to my Interviews elsewhere on my website. As I was setting up the recorder, however, he asked how long the interview would take. When I said I'd like about 45 minutes, he made this surprising remark . . . . .
James DePreist: I can’t imagine what there is worth saying on my part to take up so much time. 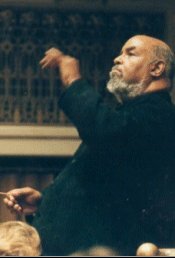 Bruce Duffie: [surprised] From a conductor of your stature??? Well, let me start by asking about choosing repertoire. You have 350 years of material, so how do you select what you will learn, what you will postpone, and what you’ll simply discard? JDeP: That’s an interesting process. What I used to do was look at all the scores in my library and after studying them I’d mark “yes” or “no” on the outside. As we go through so much music in performance, you want to reserve your final judgments until you have had an opportunity to perform a piece that you question with a superior orchestra. Dorati always used to say, “Don’t make any final decisions, Jimmy, until you have done it with a great orchestra,” and as with almost everything he said, he was absolutely on target. After you have done a piece and you feel very strongly about it, the tendency is to program it in many places where it’s appropriate, and favorites start to emerge. You find that the experiences are such that even though you’ve done a piece many times, you are still discovering things in it. As long as there are things to discover and there are challenges to be met, it’s wonderful. BD: Technical proficiency makes a great orchestra. What makes greatness in a piece of music? JDeP: I think the answer to that is different for different people. For me, as a conductor, a great piece of music is that which is forever stimulating, never stale, always seductive enough so that you want to do it again. It’s a work that can stand multiple performances. I remember with the Israel Philharmonic, their usual pattern is to do the same program at least nine times. Six times in Tel Aviv and three times in Haifa and possibly once in Jerusalem. So you’d better like the music that you’re doing because you’re going to be doing it day after day. I remember doing the Beethoven Sixth Symphony on one visit, the Bartók Concerto for Orchestra on another and the Rachmaninoff Second Symphony on yet another. What I’ve found is that the greater the music, the more it can withstand repeated performances. The Bartók, for example, was not only different each night, as you would expect, but dramatically different. I found that a revelation. The greater challenge in the Beethoven was to make the seeming simplicity evident, so one was grappling for that each night. It presented itself a little too easily. BD: If you come back to a score that you haven’t looked at, or even heard for a number of years, is it a surprise that there are still depths to be plumbed? JDeP: No question. In May, I recorded the Shostakovich Eleventh Symphony with the Helsinki Philharmonic. It was the first symphony I conducted in New York with the Symphony of the New World in 1967. I fell in love with the piece as soon as I heard it and had not programmed it since. BD: Was that an oversight on your part? JDeP: That’s the question I kept asking myself. If I had this passionate commitment for it to memorize it and do it the first time, why would I not do it after that? 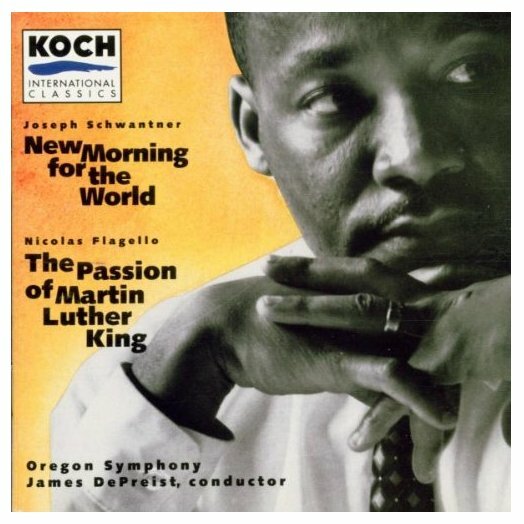 I had the opportunity with the Quebec Symphony and certainly with the Oregon Symphony and with others, but when I had the opportunity to suggest it, I never did. But it was the appropriate piece to do with the Helsinki Philharmonic. That’s an orchestra I conduct regularly and I’m very fond of. During the process of the rehearsals and performances and recording sessions, I rediscovered in a truly fundamental way why I loved that music. BD: Is that something you can put into words, or is it purely a musical sensation? JDeP: When I am in the music, I am in a different place. Something I don’t recall from the first time was that I didn’t really see the pathos beyond the description of the events of 1905. Then I read Volcov’s book where Shostakovich says that he wrote it after the Hungarian uprising. Even though it’s called ‘1905’, it deals with contemporary themes. In conducting the piece, I became aware that it really deals with the impression that is so easily possible in any fascist type of government, and in any body that holds force by arms. People can have a feeling of helplessness, and the pathos that was in the work really came rushing home to me in an incredibly powerful way. So I can’t explain it except that I was uncertain as to whether I should regret the fact that I had not programmed it, or be grateful for the fact that in rediscovering it I rediscovered it in such a passion. Now I cannot imagine letting many weeks go by without looking for another opportunity to do this work. BD: This brings up a point I’d like to explore just a bit. Is music political? JDeP: I think it’s dangerous to read too much into that because we can be deceived or disappointed in terms of intent. We should try to separate the work of the composer from the extra-musical connotation of the piece itself unless it’s clearly a political statement. One can easily find reasons why Richard Strauss is reprehensible as a human being and still find a world of genius in his music. There are some works that are clearly political but we tread very lightly in reading too much into the work. In the case of the Shostakovich Eleventh Symphony, we’re mindful of their uprising, but that doesn’t’ mean we should try to make the more Hungarian theses purely Russian. What we try to do is make more universal the feeling of anger, the feeling of outrage. The militancy becomes a universal militancy that is not isolated to Russia. It could be any country on any continent. BD: There are great masterpieces of the past. Are there great masterpieces being written today? JDeP: It’s too early to judge that. BD: Well, do you feel that among the newest music there will be some pieces to emerge on that level? JDeP: It’s very difficult to answer that question. 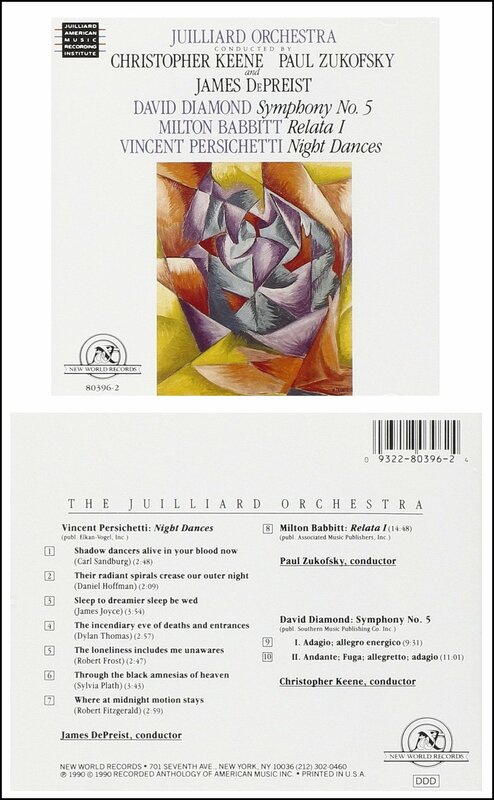 Barber’s First Symphony composed in 1936 to me, clearly, is an eighteen and a half minute masterpiece. There will be works of Shostakovich, Benjamin Britten, perhaps works of Elliott Carter, Aaron Copland, Bernstein that will be considered masterpieces, but they are so contemporaneous that it is impossible to let them bake in the sun of distance. It’s that kind of perspective that is needed to say that it is really something. We don’t ascribe those lofty terms to things that are so close around us. It’s difficult to deify them. We can do that, perhaps, with personalities, but it’s very difficult to do that with pieces of music. Certain pieces written today are performed with great frequency. There was a time when Rouse’s Infernal Machine was performed with such frequency that it was being called a “classic.” Leonard Bernstein’s Overture to Candide is another, but we can get into a whole different problem with aesthetics when we try to compare contemporary music. I think John Adams’ Harmonium is a Twentieth Century Masterpiece, but it will remain to be seen if twenty, thirty, forty years from now anybody is listening to that music at all. BD: Well, who decides if it will be programmed or recorded? JDeP: The Music Directors. Management should have no say whatsoever what music is being played unless Management is going to come on the stage and perform it. BD: Then how much influence does the public have on those decisions? JDeP: Oh, I think that the public should have considerable input. A taxi driver, or a General Manager for that matter, can ask, “When was the last time you played Chabrier? 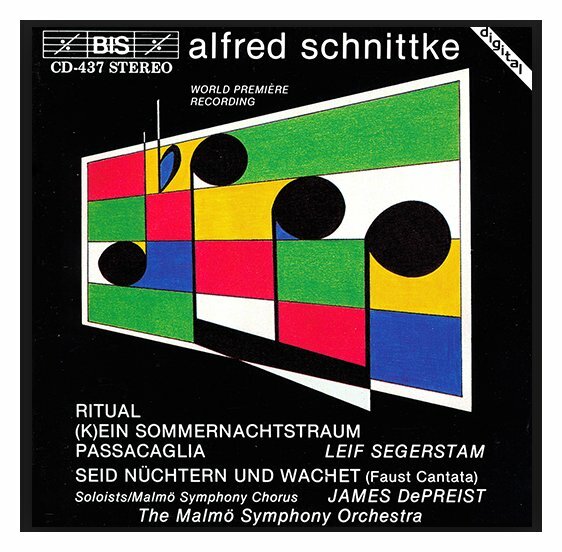 When was the last time you played Schwantner?” That kind of input is important, but there is no appropriate feedback vehicle, aside from applause, by which the audience can let you know that they really loved a particular piece. BD: Not even letters, or sales of tickets? JDeP: Ticket buying you can measure. There are so many factors. 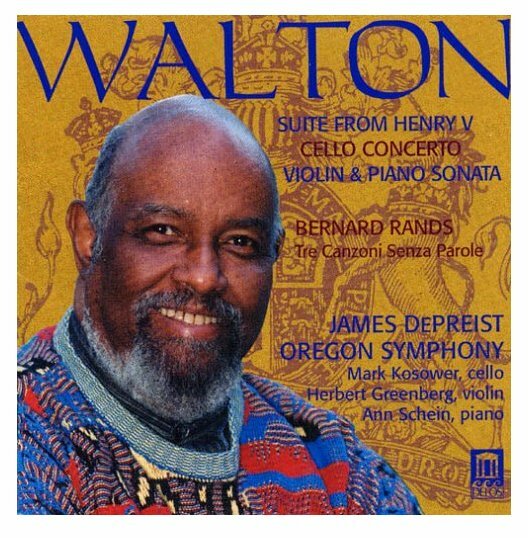 Let’s say you’re doing a work of Joseph Schwantner on a program where André Watts is playing. Can you attribute the single-ticket sales to Schwantner or to Watts? It could also depend on location that many people are coming because of Schwantner, but chances are they’re coming because of André. There’s a great responsibility that the Music Director has in seeing to it that things do not fall in between the cracks. BD: When you have something or someone that will attract the crowd, is that not a prime opportunity to add something that is really great but unknown? JDeP: Oh sure, that’s the goal. It’s not false pretenses, but I think that anyone who is going to have the opportunity to be bathed in the familiar for three quarters of the evening should recognize that they are also going to have the opportunity to encounter something that they’ve never heard before. The challenge is to do that in such a way that they are more impressed with the new thing than with what they thought they were going to be thoroughly happy with. BD: So offer them one thing and an unknown to give them two things! JDeP: That’s very good. I will remember that. One thing and an unknown will give them two things. BD: Which leads us to the big question… Where is music going today? JDeP: It’s hard to know. I think that the tyranny of the non-communicative school has left and the reaction to that was the tyranny of the Johnny-One-Notes. I say that one day there will be a minimalist convention and the ultimate question would be which note do you use? [Laughter] I happen to have an aesthetic affinity for minimalism so I don’t mean to seem so deprecating of it, but I think the challenge remains the same regardless of the media, regardless of the technique, regardless of the style, to say something that really has some kind of meaning. For me, John Adams does that. Not in all his pieces, but I do think that Harmonium is a genuine, genuine masterpiece... every bar of it. Some people say that minimalism is already dead. They say that you only need three composers writing that way, so if you have Philip Glass, John Adams and Steve Reich, you don’t need any more and there isn’t any future there. It’s time for neoclassicism to have a try. I don’t see those composers necessarily, but certainly what came out of the period when George Rochberg wrote his Third String Quartet and had quotations of earlier masters. For the first time, critics were saying, “Well, this is OK. You can use those quotes. The door’s open to write something that is, perhaps, evocative of an earlier style, and we won’t call you plagiarists.” Intelligent use of the past really works when it’s incorporated in an original Twentieth Century palette. There were works that did come out of that which were perfumed with the past. I haven’t seen a real continuation of that, although there is a tendency to see former analogues in many contemporary works. But I would hope that we would never return to a period in which composers are indifferent to the communicative power of music. BD: Shostakovich quoted William Tell and Tristan in his Fifteenth Symphony. Did he and Rochberg arrive at this idea separately, or was it something that was in the world-wide creative atmosphere? BD: Then what advice do you have for composers who want to write for the orchestra these days? JDeP: Because of the “Meet the Composer” program and the new “Reader’s Digest Wallace Grants,” which enable orchestras to commission composers, what has happened is that composers want to be practical. Many composers say, “Tell me the type of piece.” Not the style or anything like that, but in terms of duration and size of the orchestra; hints to gain the greatest number of performances. Composers and their publishers are very practical. So there is now a shortage of truly effective opening pieces by American composers – or any composers – between four and twelve minutes. One could guarantee any American composer that if they were to write an effective piece of that length, it would get played with greater frequency than a work of twenty-four minutes. BD: But it’s got to be an effective piece! JDeP: Well, there is no real problem about that because what is not effective for me I guarantee you will be effective for another conductor. I’ve seen this happen. Scores will be sent to me and I’ll be wildly enthusiastic, but when I pass it on to a colleague, they will not be impressed, but will find another piece that I didn’t care for at all. So just in terms of duration, openers are sure winners. BD: Are the composers not changing their outlook by asking about the type you want? JDeP: No. They wouldn’t ask the question if they didn’t feel comfortable about doing something like that. Or, once they have the information, they could very easily say, “This is not my twelve-minute period. I am presently writing a forty-five minute piece or an hour-and-a-half piece. Then you have to deal with that. I think the timing is a much less relevant factor. If I discover a piece of music, if I uncover one that really hits me between the eyes, it’s irrelevant how long it is. I have found works that are overpoweringly beautiful that are an hour and other works that are sixteen minutes. The work has to take the length of time that it takes for the composer to say what has to be said. Practical matters aside, I think that should be the governing agenda. I remember when the Canadian composer R. Murray Schafer was commissioned to write a work. The commissioning orchestra and a very polite committee from the artistic board said, “Mr. Schafer, we’re looking forward to having you do this. We just want to remind you that it cannot exceed ten minutes. We feel that that’s real important.” I don’t know if that was the basis on which he was paid or what, just not more than ten minutes. He received four or five communications that had this proviso, so it was inevitable for somebody with this incredible talent and sense of humor to entitle the piece No More Than Ten Minutes. It’s a fascinating piece and just for that title I wanted to profile it. BD: How long did it run? JDeP: It was nine minutes, but what was so fascinating is that the end of the work was to be the beginning of the next piece. The work had a few deceptive cadences and you’re left with two violins sustaining harmonics at the end. Schafer asked that it be the first piece on the program, or that there surely be a piece following it. The people move the piano or the chairs or whatever they have to do onstage, but the harmonics continue and the next performers come out and get set up and go right into that next work. I felt it was clever, but somewhat of an unwarranted intrusion on the composer of that next piece. But I thought it was great. BD: What advice do you have for younger conductors coming along? JDeP: Stay out of the business. There’s not enough work for those of us who are already in it. You know, you really can’t give young conductors advice. If you could, they wouldn’t be conductors. I have seen some incredibly talented young musicians who are conducting and the difficulty now is to find the opportunity to have an orchestra with which you can do significant repertoire on a consistent enough basis that you can build expertise. BD: There really isn’t enough work to go around??? JDeP: Oh yes. I was only being facetious, but every time you throw a rock, you hit fifty-five conductors. BD: The reason I bring it up is that there are so many conductors who have dual positions – Music Director here, Principal Conductor there, Resident Conductor elsewhere, all in addition to the numerous guest appearances all over the map. JDeP: It’s possible if you have orchestras with partial seasons. But there’s never a shortage of candidates when orchestras are looking for a Music Director. It’s just so very hard finding personal management with real ability to get you guest conducting engagements with orchestras that are large enough to do a broad repertoire so that you’re really getting to do these things. When I was building my career, I was learning repertoire in smaller European places with experienced conductors and soloists. They may not seem like important steps, but you gain such tremendous insight from working with them. BD: Do the European orchestras have a different outlook on such things that, say, the American ones? JDeP: Yes, because European orchestras are paid for by the state. In many cases, they tend to work more slowly. They feel that the work involved should fill up all the rehearsal time. They know that there is no greater efficiency to be gained by super practice before they get to the reading session. BD: Even when doing a brand new piece? JDeP: Even then, and especially since there are more rehearsals for the new works. In Europe they have that luxury. I remember doing a new work with the Stockholm Philharmonic, and their General Manager asked me how many rehearsals I would like. Four would be normal, but I asked for seven and he even offered eight or nine! It was wonderful. BD: Did you use all nine? JDeP: We used seven, but I programmed it in such a way that the other piece on the program required minimal rehearsal. BD: In the end, is conducting fun – at least for those of you who have made it into the arena? JDeP: Yes, when we’re doing it right. I don’t mean to say that anyone who is interested has no chance. It’s a tough business, but is fun… or it should be. BD: Do you conduct differently in the recording studio than in the concert hall? JDeP: Currently we record in the concert hall, but I understand the question. I enjoy recording tremendously. I do think it is possible for recordings to be spontaneous and beautiful and communicative and also to be accurate. There’s tremendous pressure and you have to convey more than you would normally think about conveying.. You have to try to be more specific. André Watts once said that he was struck by the difference in how he just saw and heard the same music. In recital, both he and the audience have the advantage of seeing the physical motion of going from this note to that note in a very slow tempo. There are tactile cues and visual cues, and in the recording there are none, so the same space can seem to come either too soon or not soon enough because all there is is the space. He felt that there were differences that he had to be mindful of. One of the great challenges is to be able to really end up with what you want in terms of tempo and feeling and expression, and to have enough time in the recording studio to do that. We made a recording which had the Lutosłowski Concerto for Orchestra, Roman Festivals of Respighi and Don Juan of Richard Strauss in two four-hour sessions. That’s a lot of virtuoso playing to be able to bring off in just two four-hour sessions, but there was time to get everything done. We never had the feeling that we had to settle for something because there was no time to go back to it and get it the way we wanted. There are other circumstances when recording with other orchestras in which there is not… I don’t want to say “luxury,” but there is not the proper time. The producer might say that the orchestra has played it all and they’ll splice together this and that together. Those are compromises, and yes, recording is a matter of editing and getting the best things we can do, but wherever possible, we want to get the sweep of the piece or of the movement or of the section. BD: Is there ever a chance that a recording becomes a fraud because it’s too technically perfect? JDeP: It’s not a fraud in a real sense, but it depends on how you define the real thing. All recordings are fraudulent to the degree that they are not literally one take at one given moment from beginning to end. BD: Do they, then, create a false sense of expectation on the part of the public who then come to live concerts? JDeP: I think inevitably that happens. It should not happen if we are intelligent about what we’re doing or why we’re buying these things. We’re buying recordings because we want to hear what an idealized performance sounds like. 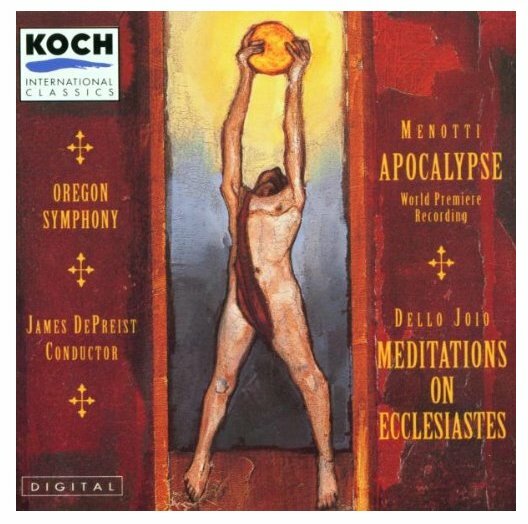 Not necessarily an idealized interpretation because interpretation should be different and varied, but if we want to hear everything that should be there in the score and hear it with the kind of clarity that perhaps we could never get in the concert hall, then we would inevitably buy the recording. 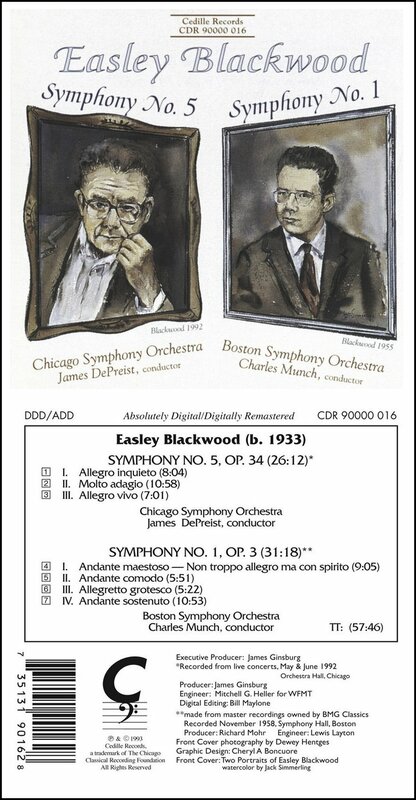 If we listen to the recording and like it and play it over and over and over again, we’ll come to the concert and the tempi will be too fast or too slow in relation to our favorite disc at home. BD: Do you ever feel you’re competing against your own recording, or others’ recordings? JDeP: Well, you can see what happens. 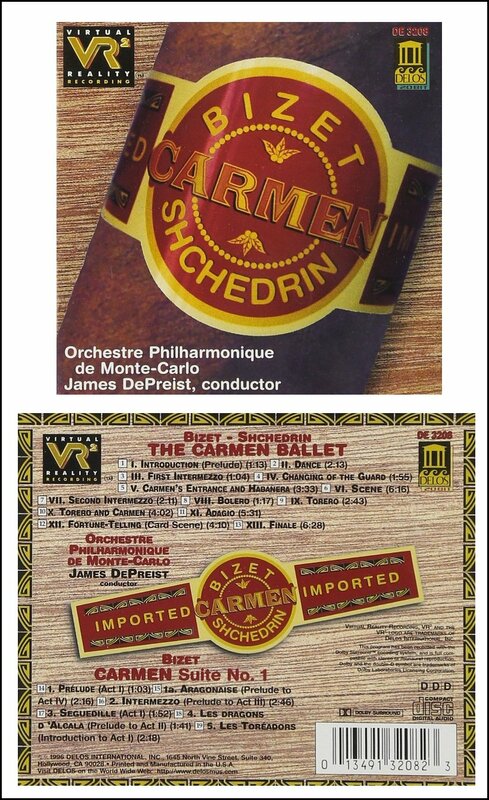 The critics also have these recordings at home, and if you read a review, you’ll see that something was maddeningly slow or maddeningly fast in relation to whatever disc they have. That’s why it’s important to have a lot of versions because then you hear a tremendous variance in terms of tempo and texture. BD: What is the purpose of music in society? JDeP: No one has asked me that before. The purpose of music should be to present a mirror of our better selves and to enable us to be participants in defining what that magic is. Music, as I’ve said before, consists of vanishing particles of sound that are made coherent through memory and expectation, which is different in each individual. Therefore, the music that is heard is heard differently by each individual because of this component that is brought to it. We want to be able to see human beings make music in addition to being disembodied and hear Muzak or to hear recordings. We don’t want to get to a point where we’re just dealing with audio wallpaper. But if we see human beings make music, we realize the message of the music, which is something to which we can relate to on a very personal and emotional level. We can admire it architecturally. We can admire it in terms of its harmonic structure. But fundamentally there is a visceral reaction, and that visceral reaction is sheer magic. There’s no two ways about it. You cannot possibly explain how something that is already gone has moved you so deeply and lingers in the memory in such a way that either you become angry or you cry. I think much of that imagination was present when all we had was radio. When I was growing up, I came home and listened to the radio. I made up my entire world just as everybody else did, and all of those worlds were different. Television was a jarring sensation. The first time you saw Superman, he looked nothing like what he was supposed to look like in our minds. But that theater of imagination exists always in music because there are no pictures except the ones we paint. James DePreist, newly appointed Permanent Conductor of the Tokyo Metropolitan Symphony Orchestra is Director of Conducting and Orchestral Studies at the Juilliard School and Laureate Music Director of the Oregon Symphony. Widely esteemed as one of America's finest conductors, he has served as Music Director of L'Orchestre Symphonique de Québec, Sweden's Malmö Symphony, L'Orchestre Philharmonique de Monte Carlo, and the Oregon Symphony. Born in Philadelphia in 1936, DePreist studied composition with Vincent Persichetti at the Philadelphia Conservatory of Music and earned bachelor's and master's degrees from the University of Pennsylvania. In 1962, while on a State Department tour in Bangkok, he contracted polio but recovered sufficiently to win a first prize in the Dimitri Mitropoulous International Conducting Competition. 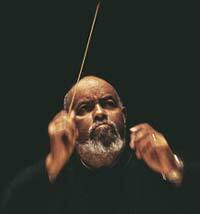 He was selected by Leonard Bernstein to be an assistant conductor of the New York Philharmonic for the 1965-66 season. DePreist made his European debut with the Rotterdam Philharmonic in 1969. 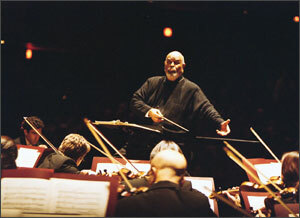 In 1971, Antal Dorati chose him to become his Associate Conductor with the National Symphony in Washington, D.C.
As a guest conductor he has appeared with every major North American orchestra, and internationally he has conducted in Amsterdam, Berlin, Budapest, Copenhagen, Helsinki, Manchester, Melbourne, Munich, Prague, Rome, Rotterdam, Seoul, Stockholm, Stuttgart, Sydney, Tel Aviv, Tokyo, and Vienna. He made his London debut with the London Symphony at the Barbican in April 2005. DePreist appears regularly at the Aspen Music Festival, with the Boston Symphony at Tanglewood, the Philadelphia Orchestra at the Mann Music Center, and the Juilliard orchestras at Lincoln Center and Carnegie Hall. With more than 50 recordings to his credit, he has a substantial presence in the recording arena. 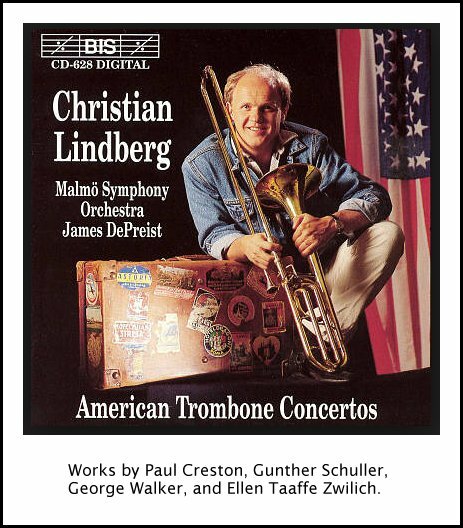 His varied recorded repertoire includes a celebrated Shostakovich series with the Helsinki Philharmonic and 15 recordings with the Oregon Symphony that have helped establish that orchestra as one of America's finest. James DePreist has been awarded 13 honorary doctorates and is the author of two books of poetry. He is an elected fellow of the American Academy of Arts and Sciences and the Royal Swedish Academy of Music, and is a recipient of the Insignia of Commander of the Order of the Lion of Finland, the Medal of the City of Québec, and is an Officer of the Order of Cultural Merit of Monaco. 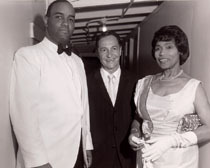 He is the nephew of the legendary contralto Marian Anderson. For more information about James DePreist, visit his homepage . This interview was held on June 16, 1988 in Chicago, and portions were used on WNIB at various times. It was also heard in a special program aboard Northwest Airlines in 1989. The complete conversation was first posted on this website in October of 2006. Additional photos and links were added in 2016. 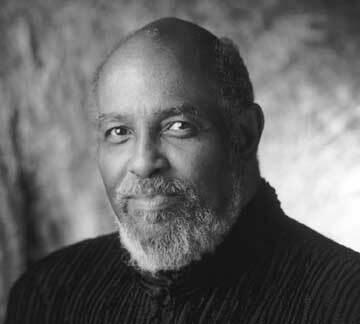 Winner of the ASCAP/Deems Taylor Broadcast Award in 1991, Bruce Duffie spent 25 years with WNIB, Classical 97 in Chicago. 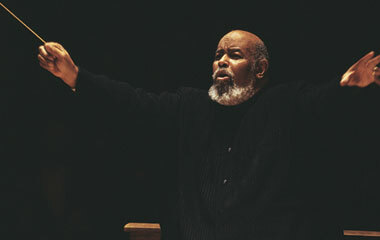 His series of programs featuring music and interviews with composers and performers was a popular favorite, and now continues on WNUR-FM, and on Contemporary Classical Internet Radio. Many of the interviews have been published in magazines and journals over the years, and now some are being posted on this website. He would also like to call your attention to the photos and information about his grandfather, who was a pioneer in the automotive field more than a century ago. For more information, visit Bruce Duffie's Website. He also responds to E-Mail messages. To see the full list (with links) of interviews which have been transcribed and posted on this website, click here.